Dr David Chivers, MA, PhD, ScD, FLS, FZS, FRGS, was born in April 1944, and from Merchant Taylors’ School, Northwood, he came up to Sidney Sussex College, Cambridge, in 1963, to read veterinary medicine. Reading Physical Anthropology in his third year, showed him that he could combine his boyhood interest in natural history with a growing interest in our relatives, so he registered for a Ph.D. and went off to the Malay Peninsula for two years to study the ecology and behaviour of the siamang. Returning to Cambridge, David was appointed University Demonstrator in Veterinary Anatomy in 1970, upgraded to Lecturer in 1975; he completed his Ph.D. in 1972. David combined teaching anatomy to veterinary students with organising research on primates and other wildlife in Malaysia (West and East) and nearby countries, including India, Bangladesh and Vietnam. 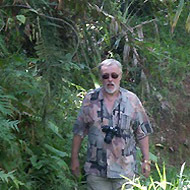 David collaborated with Marcel Hladik for many years investigating the relationship between gut morphology and diet in mammals, especially primates. They had US funding for a programme of research on wild and captive primates in Malaysia from 1978-81, and in 1985 shifted their attention to the expanses of Indonesian Kalimantan, to the centre of Borneo. With the Ministry of Forestry, they have been investigating, to the present day, the role of fruit-eating animals in seed dispersal, in the natural regeneration of forest. From the early 1980s, David had a succession of research students from Brazil, from Amazonia and the Atlantic Forest, and more recently two from Venezuela. He was active in the Primate Society of Great Britain, rising to President, and in the International Primatological Society as the Vice-President for Conservation. In 1989 he was elected a Fellow and Tutor of Selwyn College, having been appointed Director of Studies in Veterinary Medicine from 1981. He served as Gardens Steward for 13 years, and is now Praelector. During the 1990s, David was very active with Fauna and Flora International (founded in 1903), being Vice-Chairman of Council for 16 years, having been Chairman of the Conservation Committee. He became involved in the quest for ‘orang-pendek’, a bipedal ground-dwelling ape in the depths of the forest of west-central Sumatra; it was well known by the locals but there is still not proof of its identity – a large gibbon come to the ground, or a relative of the orang-utan. David was appointed a Reader in Primate Biology and Conservation in 2000 and approved for the degree of Doctor of Science in 2001. He served as Senior Proctor for the University from 2000-2003. He is a Fellow of the Linnean Society, the Zoological Society of London and the Royal Geographical Society. He serves on several editorial boards, has edited several books and published over 100 papers. He has made 55 visits overseas, to nine countries, for fieldwork, totalling nearly 7 years. He has attended nearly 80 conferences around the world. 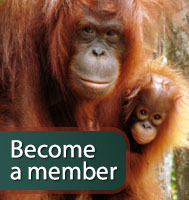 David is a Trustee of Twycross Zoo and St. Helen’s School Northwood (and, formerly, Fauna and Flora International) and Borneo Orangutan Survival Foundation UK.